I’m trying to avoid too much red meat now opting instead to enjoy the wonderful delights of white meat, specifically fish. We’ve got a fantastic fishmonger close by who deals to trade and public, their whole salmon is epic. Today I threw some of those steaks on a BBQ. 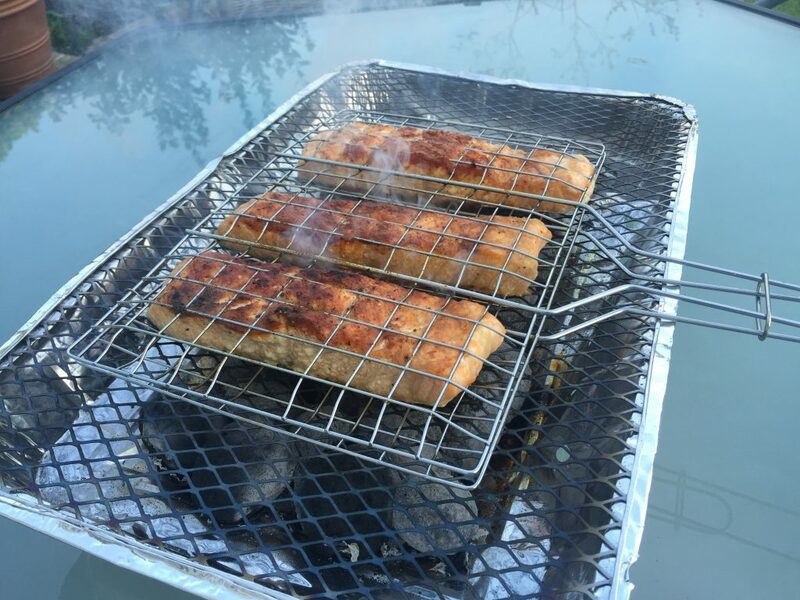 The fish rack I use works perfectly with any type of fish and stops the flaky texture from crumbling away as it cooks. And the skin from a salmon becomes amazing, like crackling. Having a smaller, table top BBQ makes for a far more social and pleasant experience – which is why the BBQ is on almost every single night. 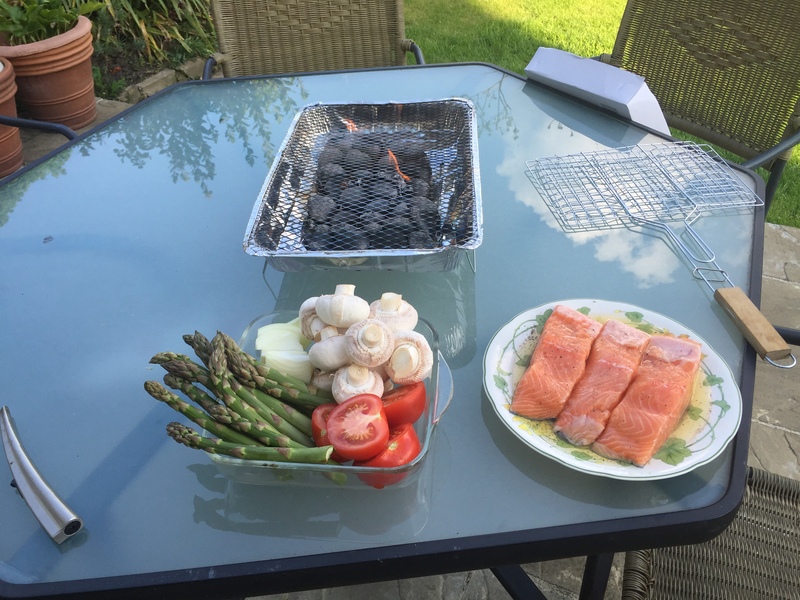 Throw the veg into a tinfoil bag, throw it on the BBQ for perfect steamed veg. © 2019 BLOWDOG.COM. Copyright all mine. Of course.